I’m a huge jean wearer. 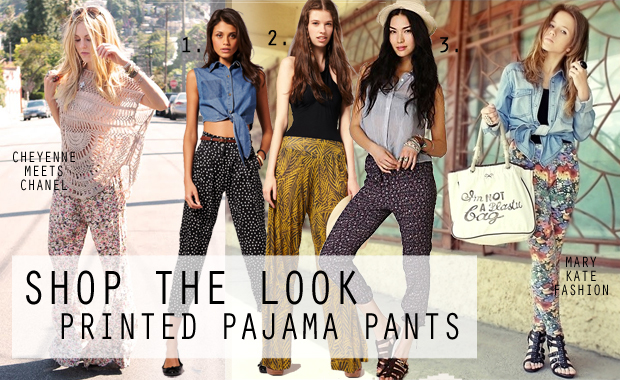 In fact, nothing can come between me and my J Brands except … this season’s “pajama” pants! I was skeptical at first, but these soft, printed trousers are truly wearable and provide a great variety to your wardrobe. Bloggers Shea Marie of Cheyenne Meets Chanel and Wioletta of Mary Kate Fashion provide some styling inspiration. 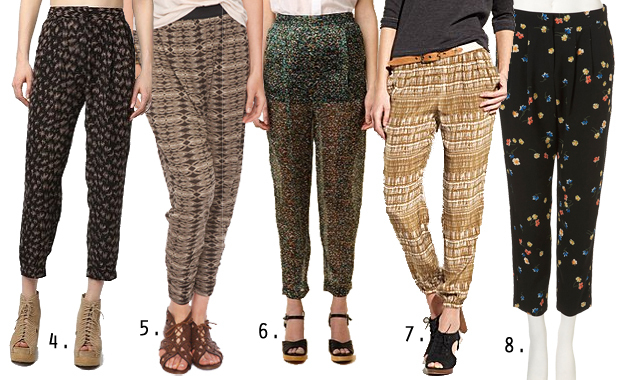 While both opted for lighter, floral-printed pants, geometric- and abstract-print versions are also delightful. Look for harem or crop versions to add structure or try a wide-legged version to take advantage of the soft nature of most pants’ fabrics! To really highlight the pants, choose a relatively simple, monochromatic top. Crop tops are great for these pants. For a more vibrant look, try mixing prints! Harem styles look great with gladiator sandals (I rather like these two pairs: Steve Madden’s Paiigge and Anthropologie’s Split Strap Gladiators) and laced-cutout clogs (obsessed with Madewell’s Peekaboo and Trekker slingbacks). Wider pants can be worn with platform wedges for a killer 70s look (G by Guess’s Farrens is a nice lace-up version, while Sam Edelman’s Wess is a great bootie/wedge option). Accessorize with a floppy straw hat and crossbody-leather bag, and you’re good to go!